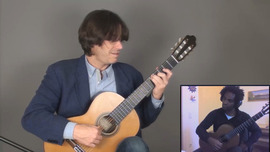 The Cuban guitarist Joaquín Clerch was born on 8 August 1965 in Havana, where he was later to receive one of the Cuban government’s highest artistic award, the “Orden por la cultura nacional”. He studied guitar, music and composition in Havana, graduating from the Art University of Havana in 1989. He graduated with distinction in Salzburg in 1991 and was awarded the prize for extraordinary artistic achievement by the Austrian ministry of science and research. 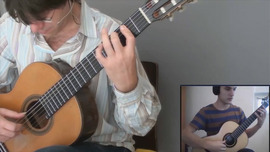 Joaquín Clerch has won many important guitar competitions, such as the Andres Segovia competition in Granada, the Heitor Villa-Lobos competition in Rio de Janeiro, Printemps de la Guitare in Brussels and the ARD competition in Munich. He has played in many cities and prestigious concert halls the world over, e.g. Concertgebouw (Amsterdam), Palacio de la Música (Barcelona), Théâtre Royal de la Monnaie (Brussels), Alte Oper (Frankfurt), Auditorio Manuel de Falla (Granada), Teatro Nacional (Havana), Cemal Resit Rey (Istanbul), Kölner Philharmonie (Cologne), Brucknerhaus (Linz), Auditorio Nacional de Música (Madrid), Münchener Philharmonie (Munich), Radio France (Paris), Beijing Concert Hall (Beijing) and Konzerthaus (Vienna). 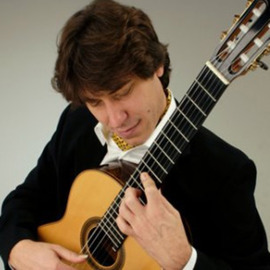 [[Joaquín Clerch] ] He has performed as a soloist with orchestras such as the Sinfonieorchester des Bayerischen Rundfunks, the Orquesta Sinfónica Nacional de España, the Orquesta Nacional de Cuba, the Filarmónica de Bogotá, the Stuttgarter Philharmonie, the Mozarteum Orchester Salzburg, the Orchestre National du Capitole de Toulouse under Michel Plasson, and the Orquesta Filarmónica de Gran Canaria under Adrian Leaper. 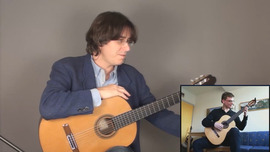 With the latter he made the world premiere recording of two guitar concertos dedicated to him by Leo Brouwer (Concierto de la Habana, 1998) and Carlos Fariñas (Concierto, 1996). Both composers were teachers of Joaquín Clerch and are regarded as two of the most significant composers in the history of Cuba. Joaquín Clerch is also in demand for performances of chamber music and regularly performs in a variety of different combinations. 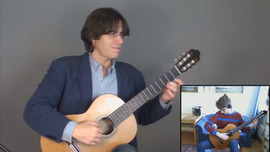 Other musicians he has appeared with include Ruggiero Ricci, Eliot Fisk, Anthony Spiri and Gunter Teuffel. 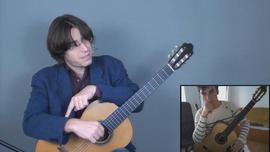 Since 1999, Joaquín Clerch has held a professorship of guitar at the Robert Schumann University in Düsseldorf. 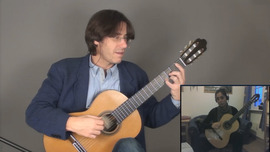 In this lesson, Cuban maestro Joaquín Clerch works with Romanian student Radu Vâlcu on two very different works: "Aquarella" by Brazilian composer Sergio Assad and the 5th Caprice for violin solo by Italian composer and virtuoso violinist Niccolò Paganini.